In memory of Rika Baruch (1886-1941) it seems appropriate to show one of the first covers illustrated by her husband Wolfgang Ortmann. The sheet music is from 1909, a year in which we’d like to imagine 23-year old Rika posing as the springtime-model for her young artist Wolfgang. 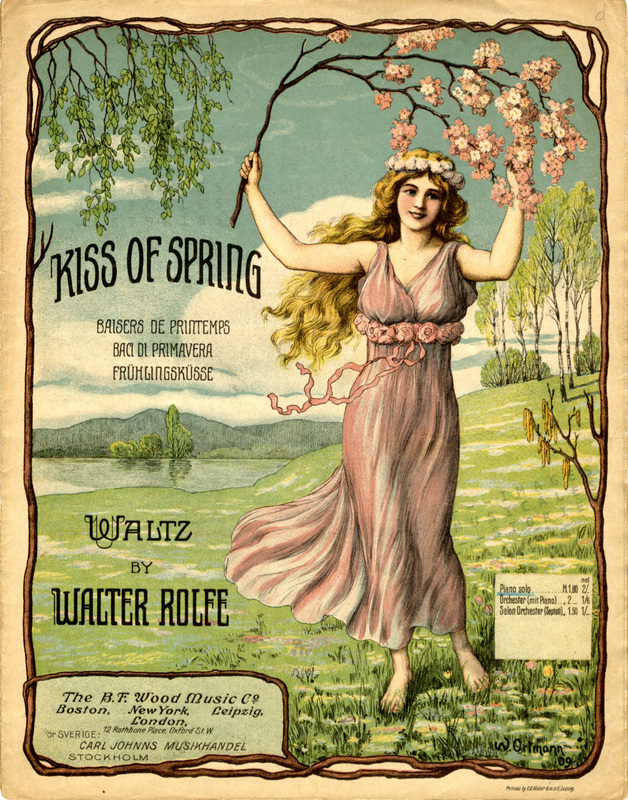 Kiss of Spring (Frühlingsküsse), sheet music illustrated by Wolfgang Ortmann in 1909. Rika Baruch Ortmann was a dentist with a public health practice. She was also an active Communist, probably involved with the GRU (Soviet military intelligence). She provided lodging for six months to Felix Wolf (also known as Werner Rakow or Rakov), one of Lenin’s emissaries to the German Communist Party in the early 1920’s. Later on, she was expelled from the KPD as a ‘right-wing deviationist,’ that is, a follower of Heinrich Brandler, who lost out in an intra-party power struggle, but was apparently reinstated later on. In 1932, she was working closely with Edgar André, a leader of Communist paramilitaries in Hamburg, in the weeks leading up to the ‘Altonaer Blutsonntag,’ when 17 people were shot down in the streets. In 1933, she and her daughter Ruth (Muschi) went to Moscow, where she obtained a job as a dentist in the Uskoje Sanatorium. Muschi went to work for the distinguished scientist Lina Stern (or Shtern). (After World War II, Stern was the only one of a group of Jewish intellectuals and scientists not to be executed; she got 20 years.) But Muschi’s boyfriend Fritz Daniel was missing her, and was able to pay her way to England. Here the story becomes tragic. 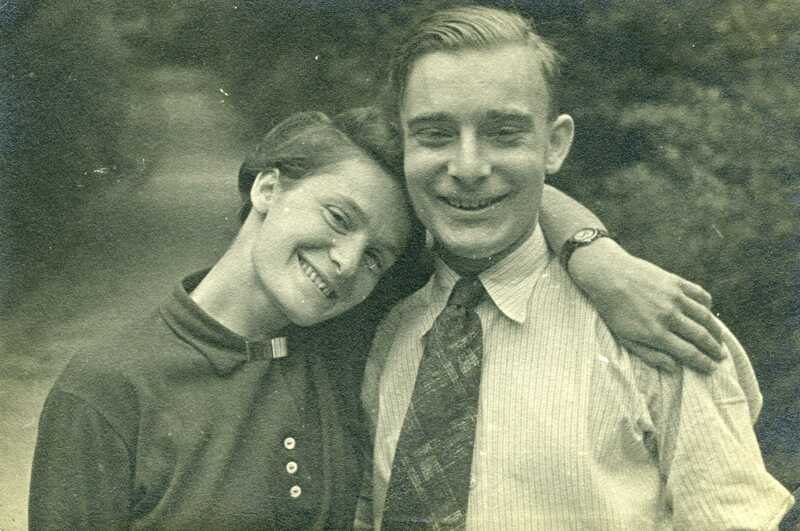 In the summer of 1936, Muschi and Fritz Daniel (they were married by now) were about to leave London for America. First they traveled to Stockholm for a rendezvous with Rika, who told them that she was worried by developments in the Soviet Union, and did not wish to return. (The first arrests of the Great Purge were taking place, and many more would follow soon.) Muschi and Fritz were sure that nothing bad could happen to her, and thought it more convenient if she went back to Moscow and waited for word from them before following them to America. Reluctantly, she agreed. But she had a problem: her German passport was expiring, and she saw no chance of having it renewed by the Germans. The Russians would have given her a Soviet passport, but that would mean losing the opportunity to travel abroad. To gain the benefit of a Western passport, and be able to leave the Soviet Union when word came from Muschi and Fritz, she married her young cousin Leo Gavatin in a sham marriage, thus obtaining a Swedish passport. In October 1936, after trying unsuccessfully to telephone Muschi in the U.S., she boarded a train for Leningrad, headed for Stockholm and the West. 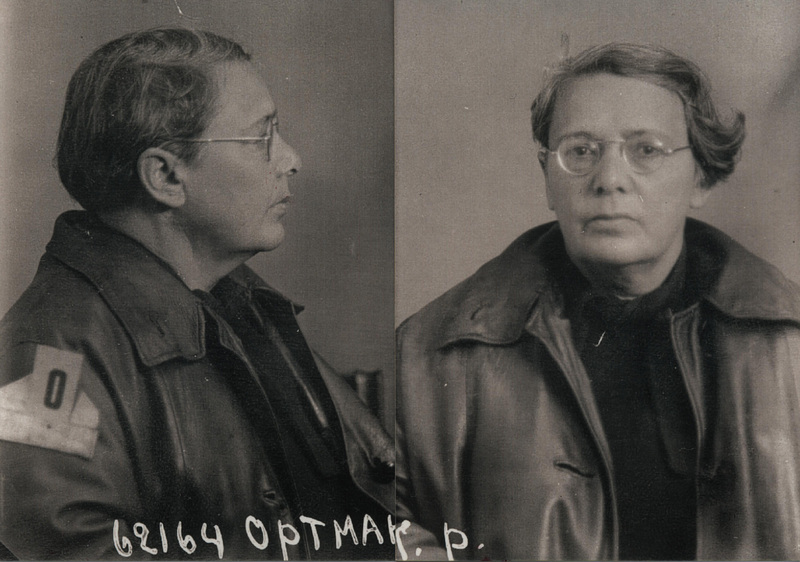 An hour out of Moscow, two NKVD (the People’s Commissariat for Internal Affairs) men arrested her and brought her back to Moscow for interrogation. She was never able to send or receive a single letter. The Swedish consular officials tried to make contact with her, but the NKVD replied that her Swedish citizenship was fraudulent, and refused their request. 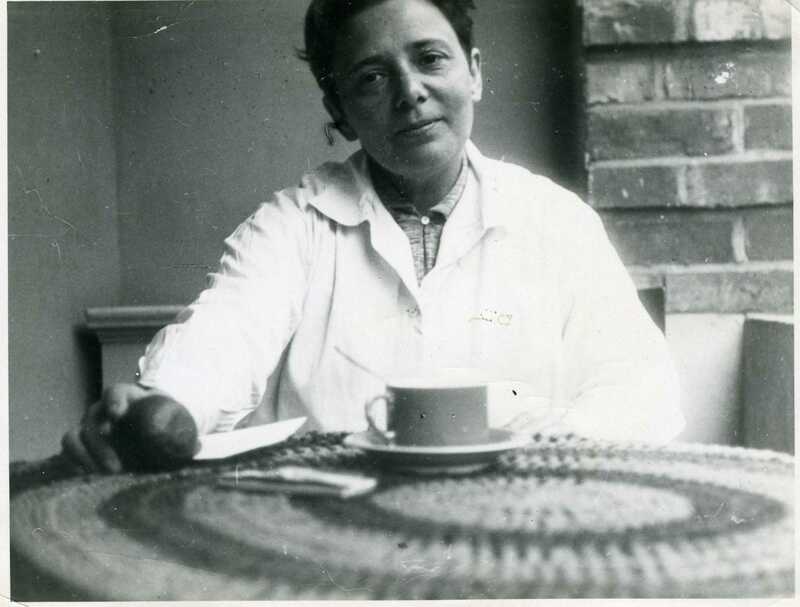 If she had been acknowledged as a German citizen, she might have been returned to Germany in 1940, like many other anti-Nazi Germans, including, most famously, Margarete Buber-Neumann. As it was, she was in effect a citizen of no country, and completely out of luck. 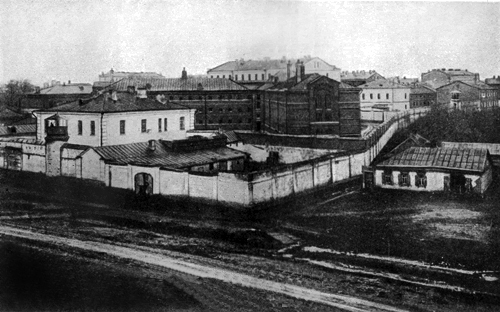 Orel Prison where Rika Baruch was imprisoned from 1936 until 1941, when she was executed. In early September, 1941, Beria sent Stalin a list of 160 political prisoners in the Orel (or Oryol) isolator prison, with a request for instructions. “Shoot them all,” Stalin wrote on it. A few days later, the Soviet military judge Ulrikh sentenced them all to death. A special NKVD squad was brought in. Gags were put in the prisoners’ mouths to keep them from crying out. They were informed that they had been resentenced to death and shot, their bodies buried in the Medvedev Forest. Trees were planted over the site to disguise it.